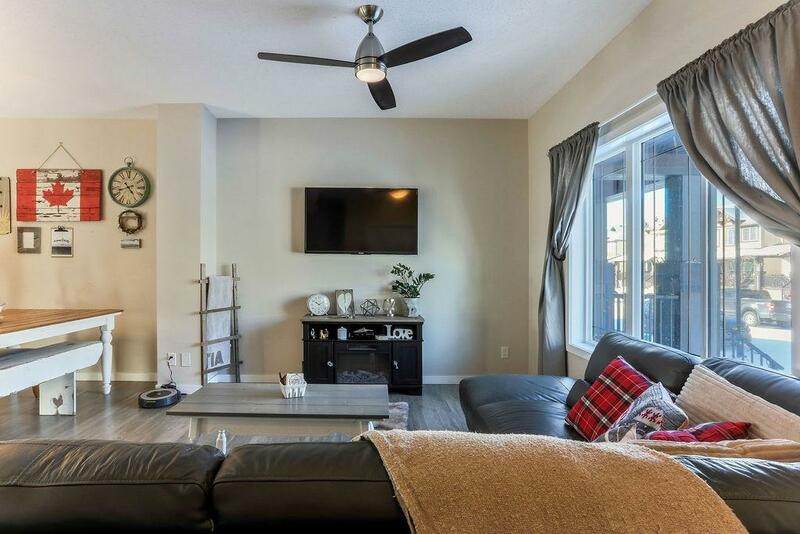 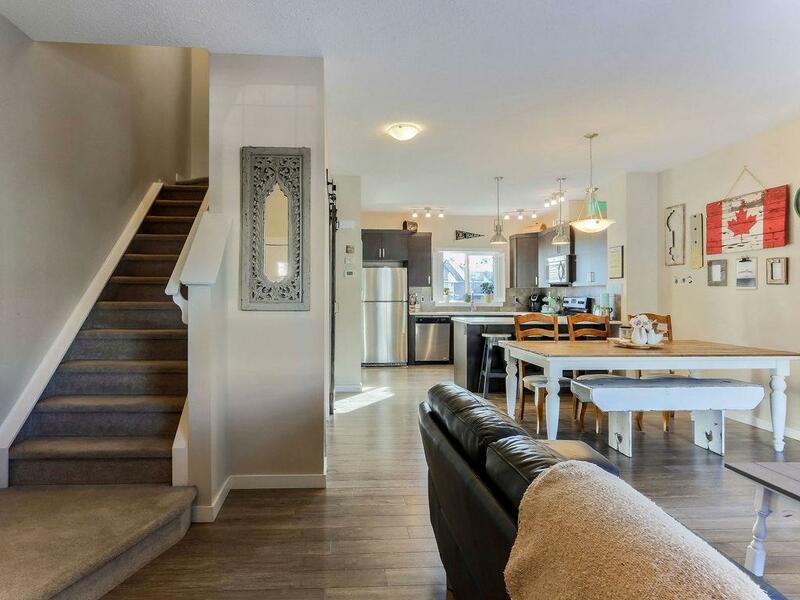 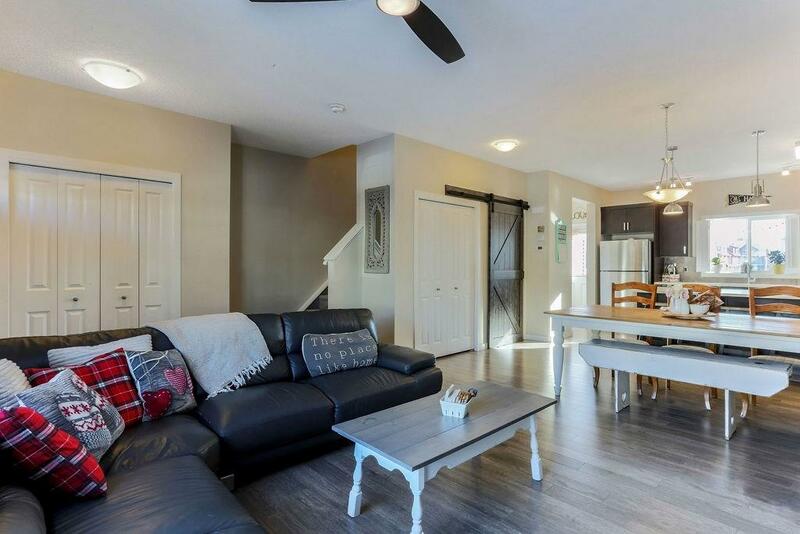 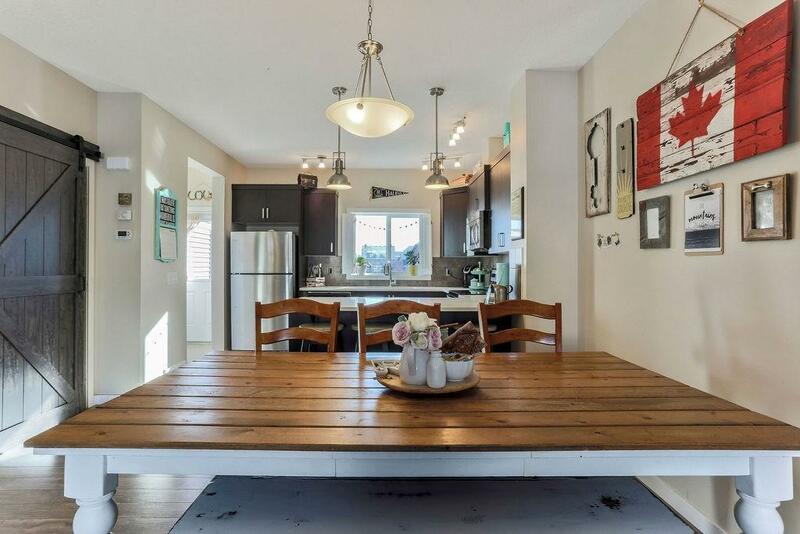 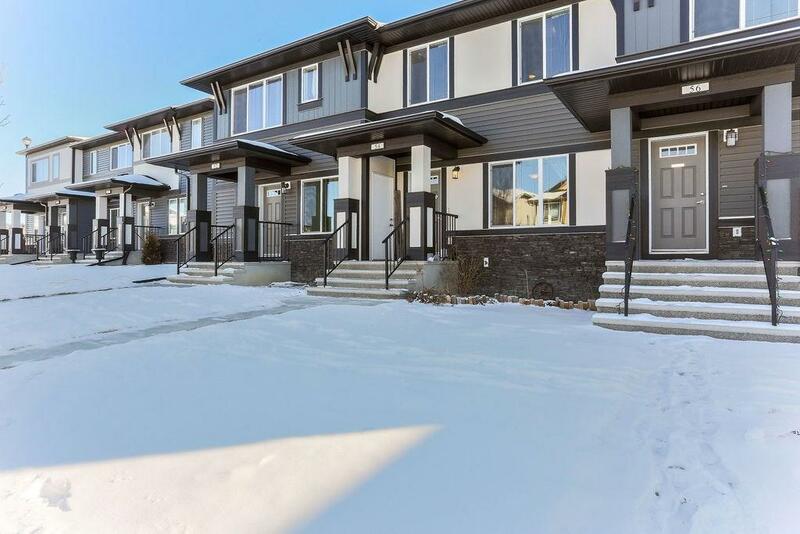 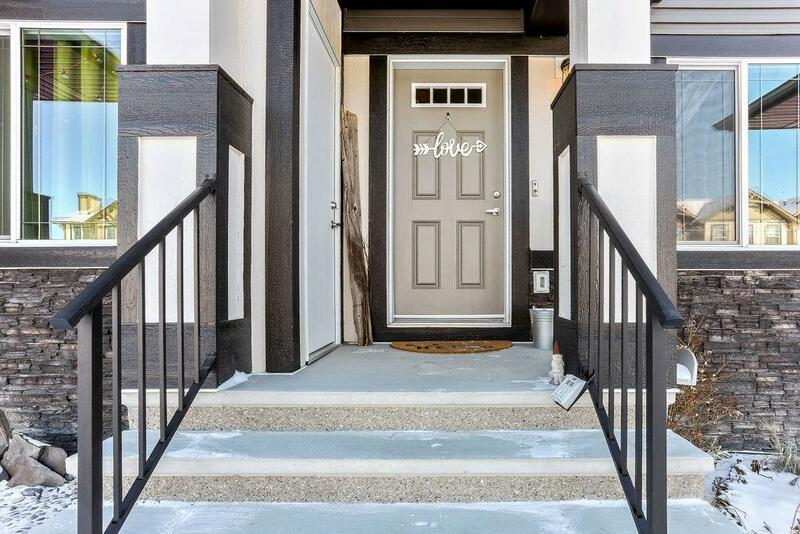 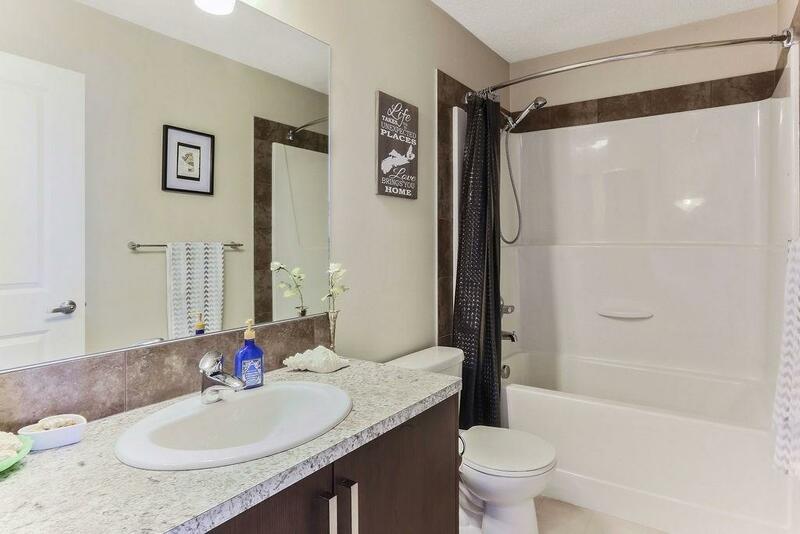 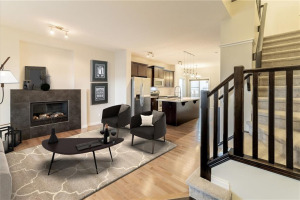 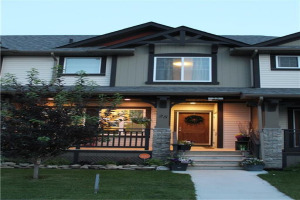 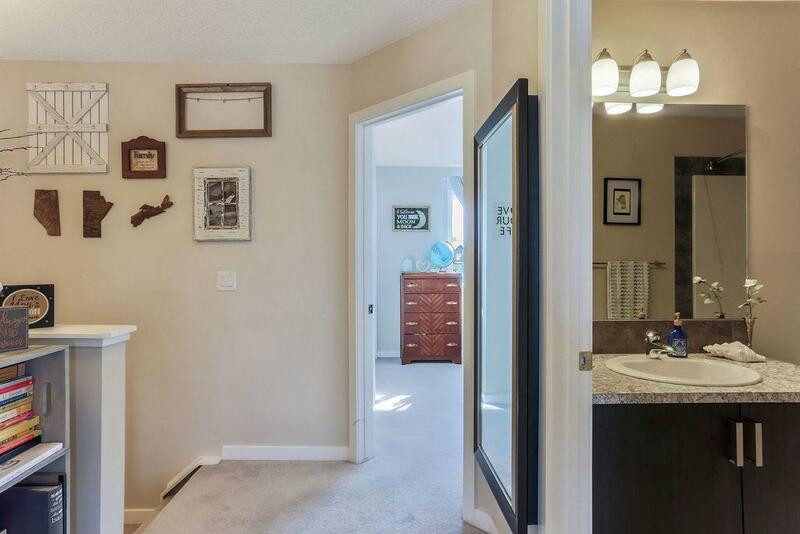 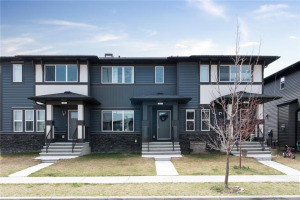 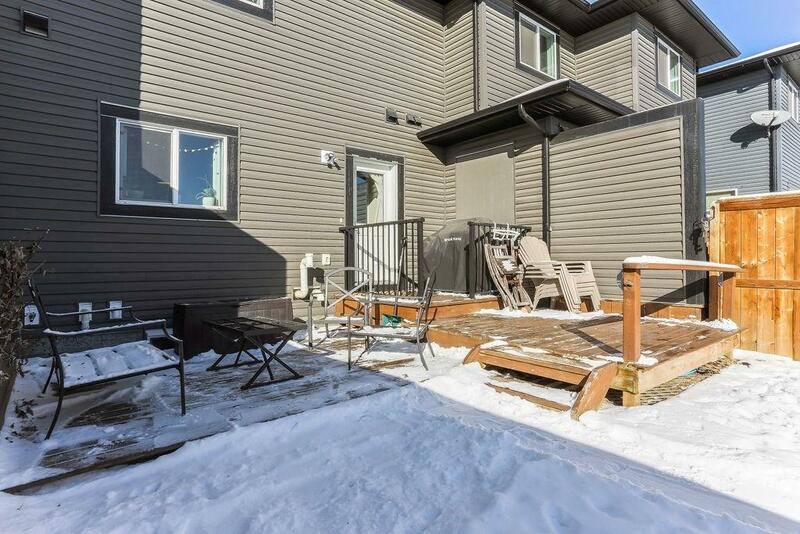 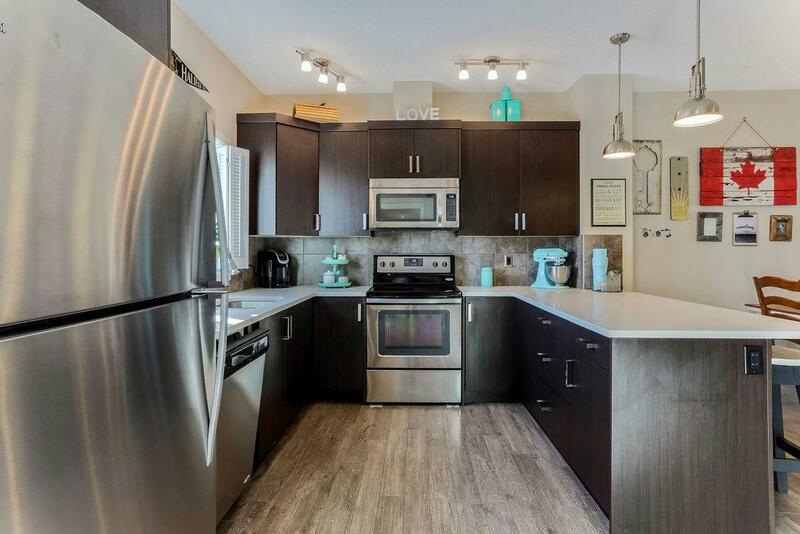 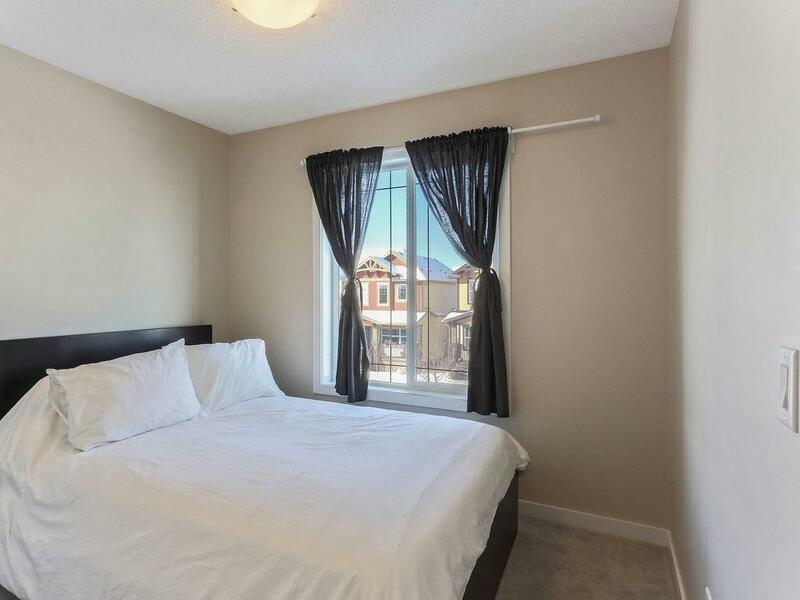 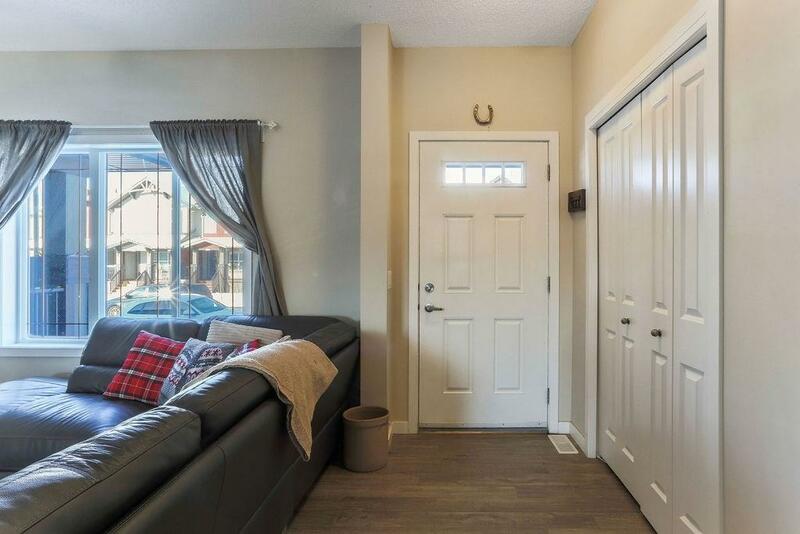 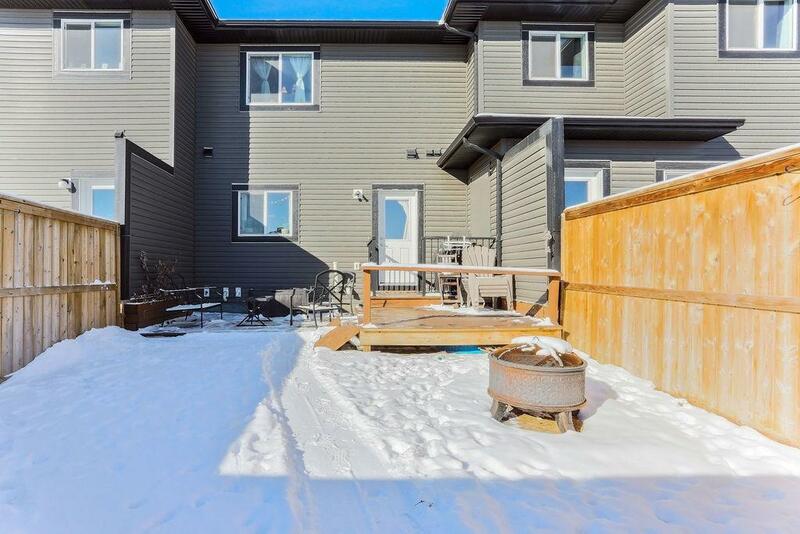 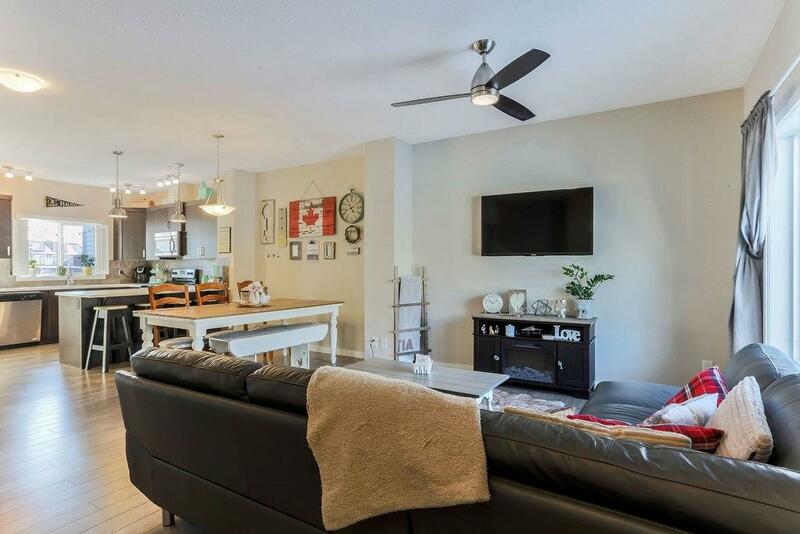 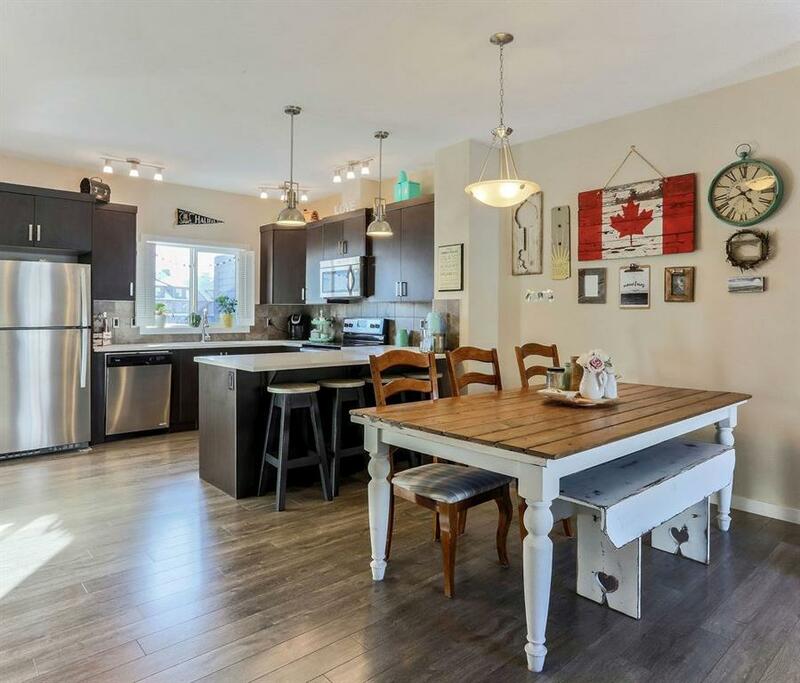 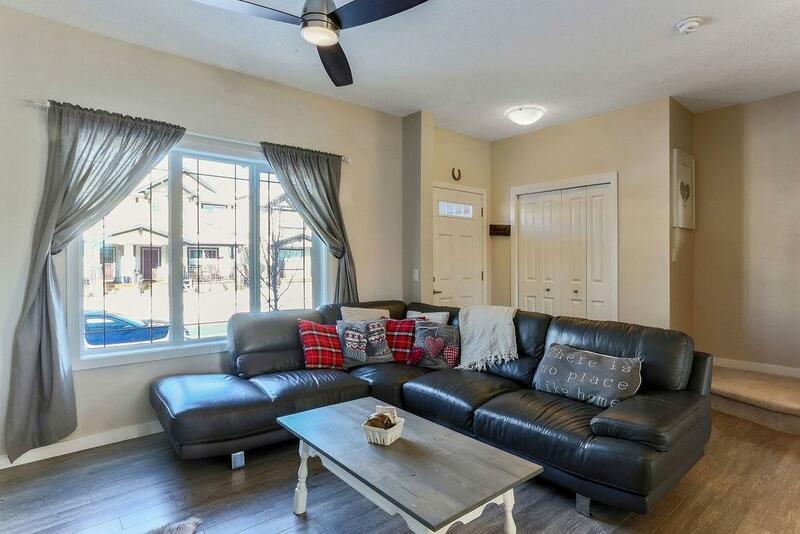 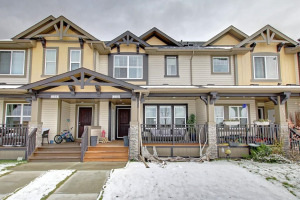 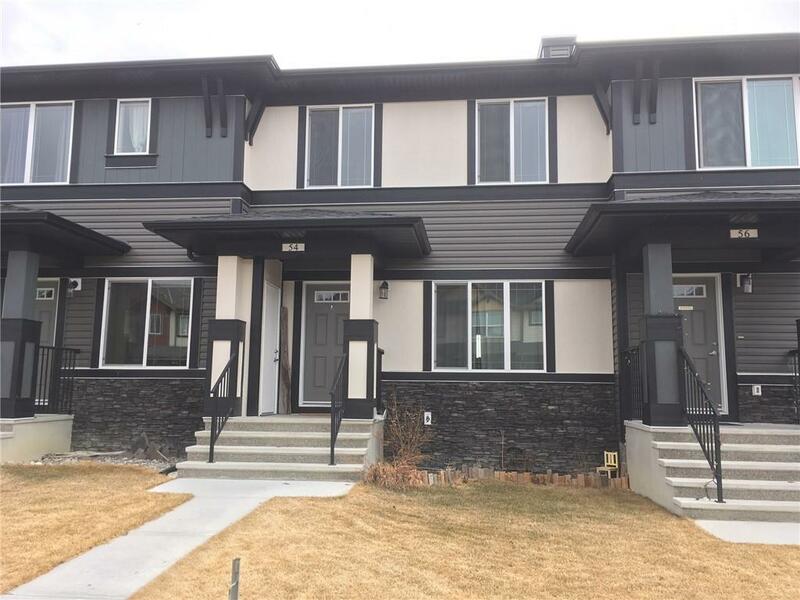 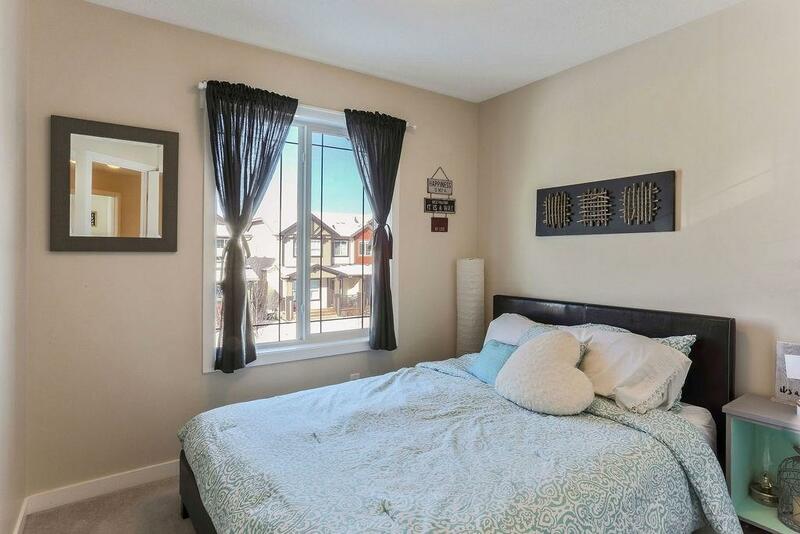 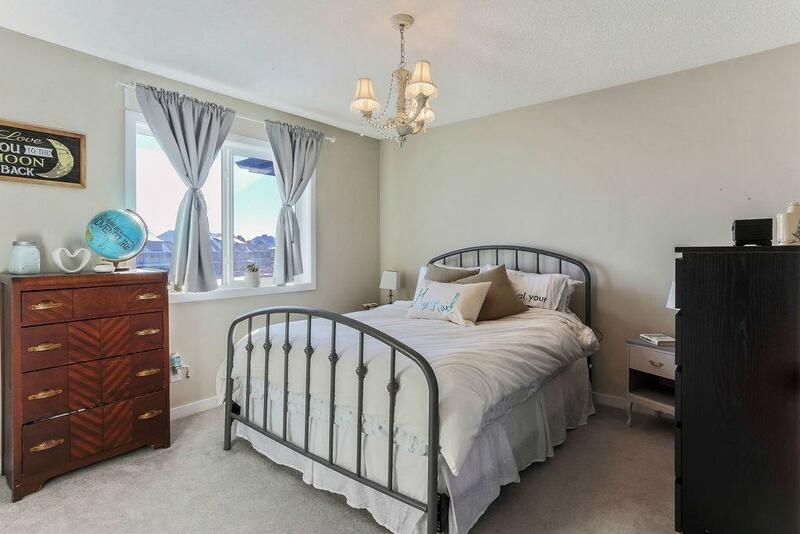 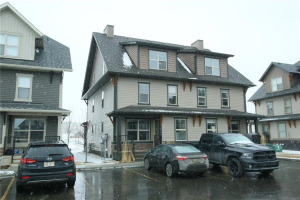 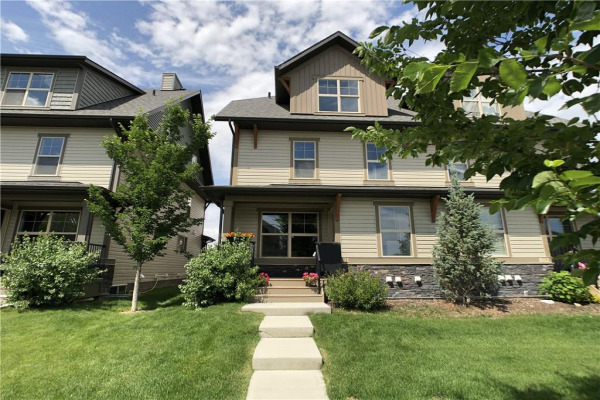 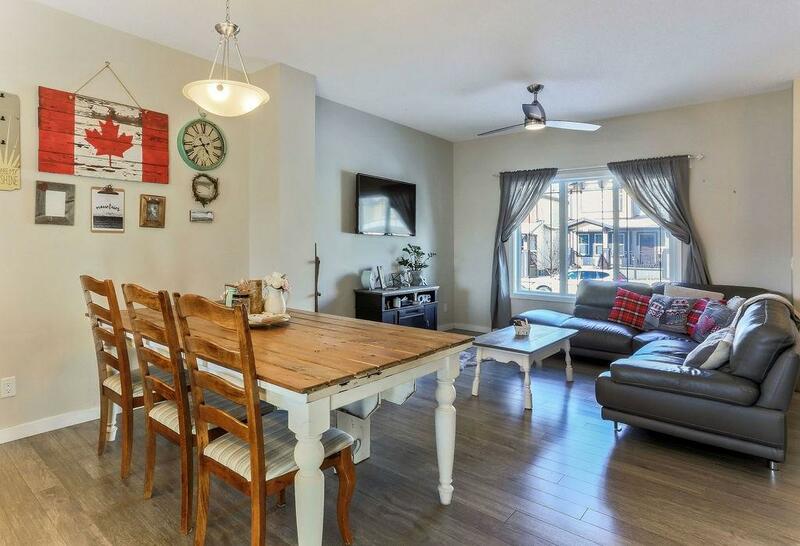 Exceptional price and NO CONDO FEES for this beautifully upgraded townhome in Heartland. 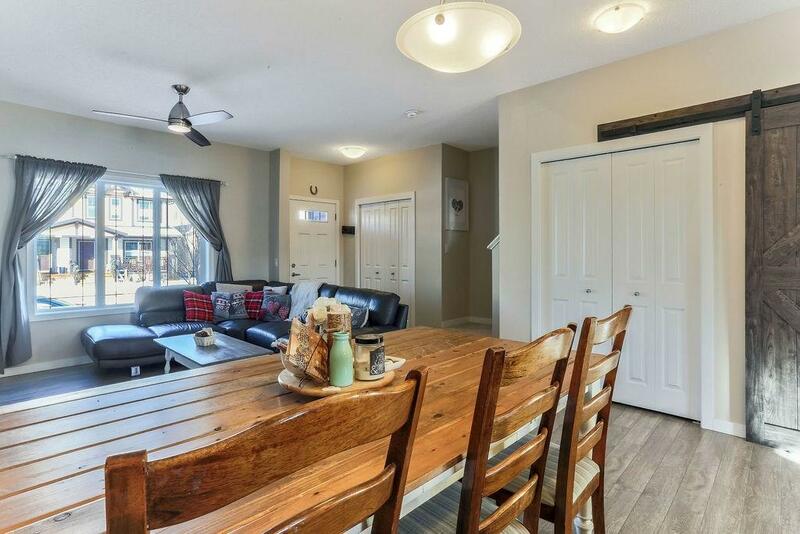 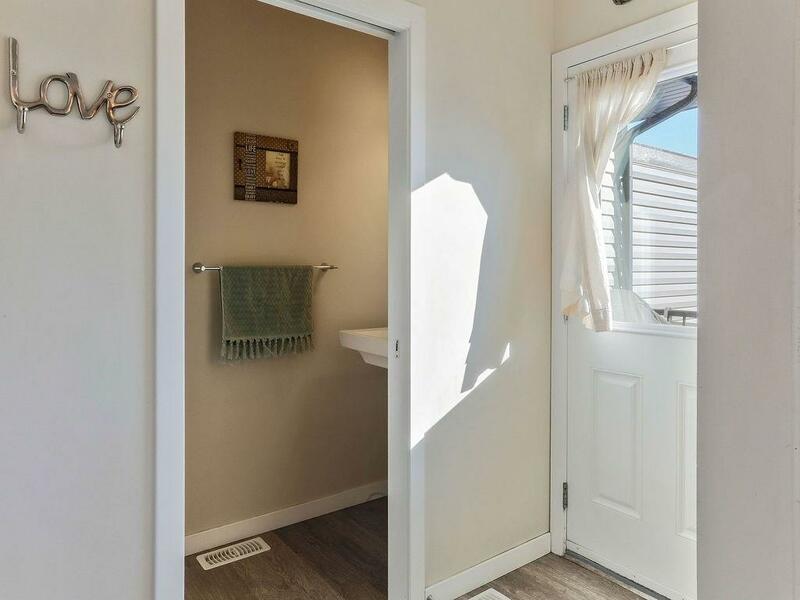 The main level offers a great open concept layout with engineered laminate flooring and trendy custom barn door feature. 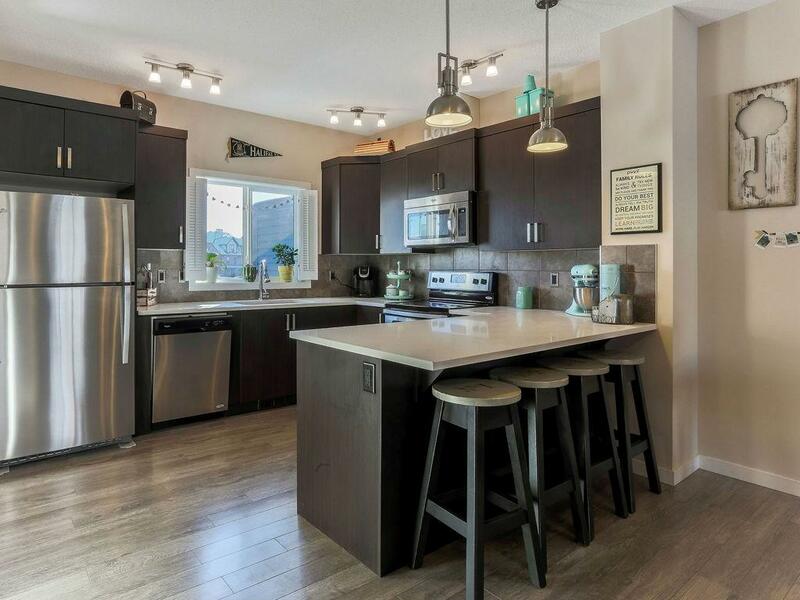 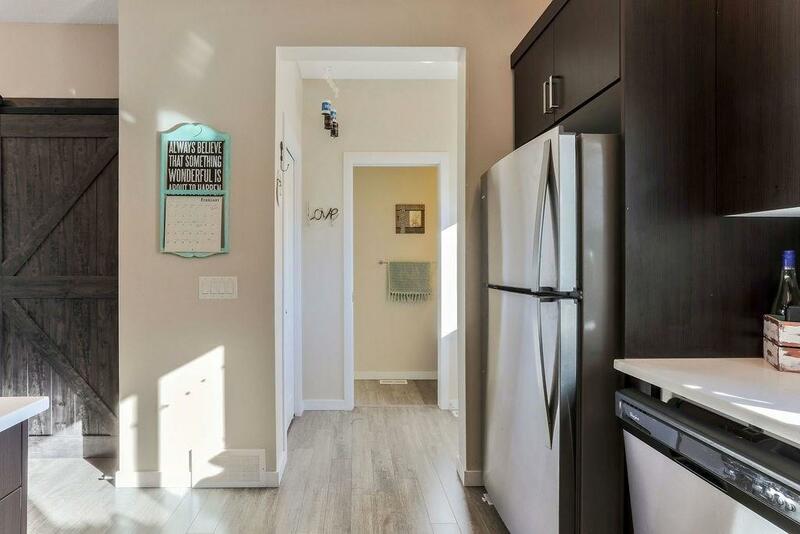 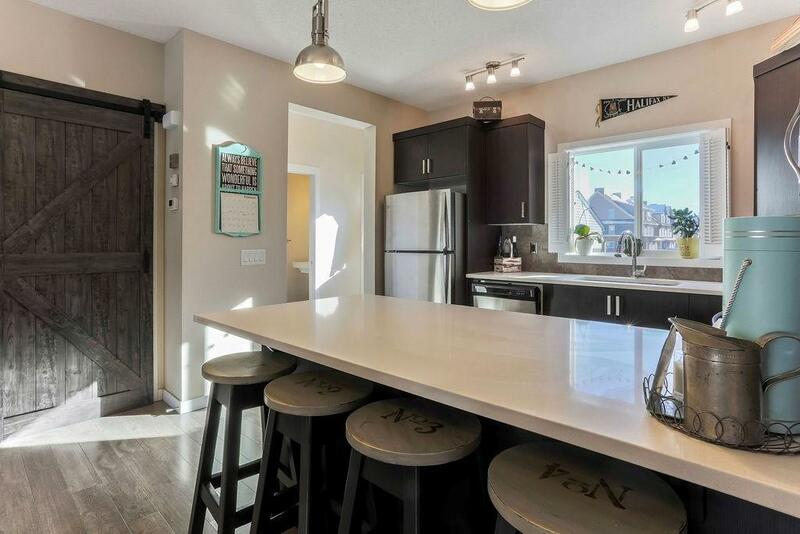 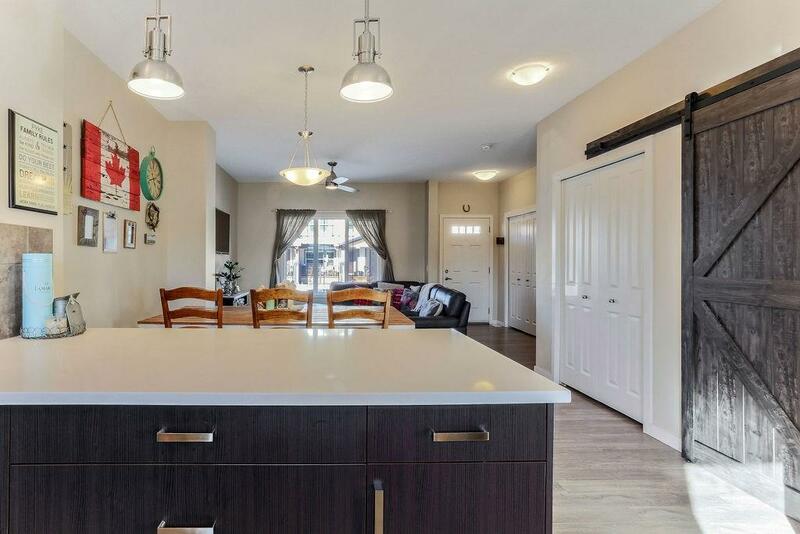 The kitchen has been thoughtfully upgraded with stainless steel appliances, quartz countertops and breakfast bar all open to a large dining area. 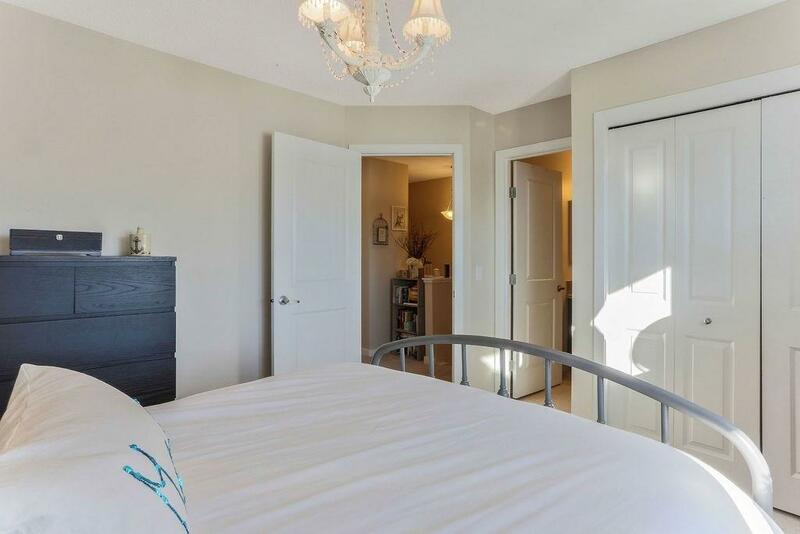 On the upper level you will find the master bedroom with 3 piece en-suite and large closet plus two more bedrooms and a full 4 piece bath. 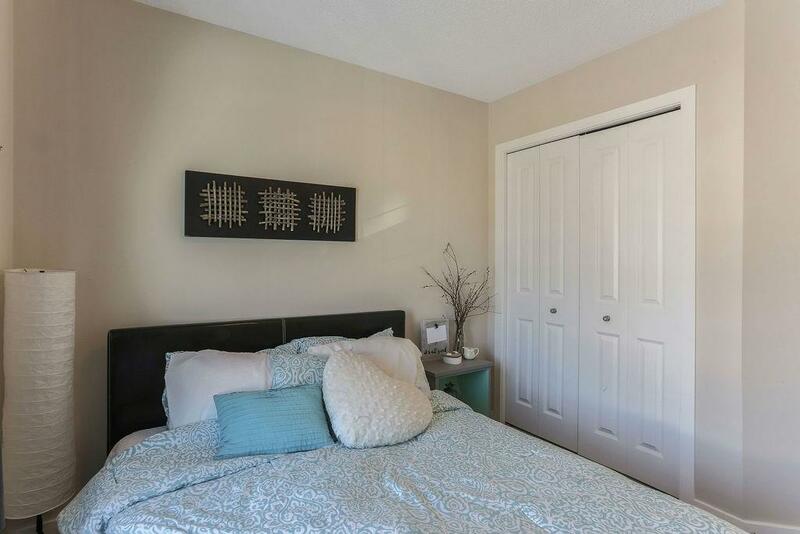 Also conveniently located upstairs is the laundry room with storage shelving. 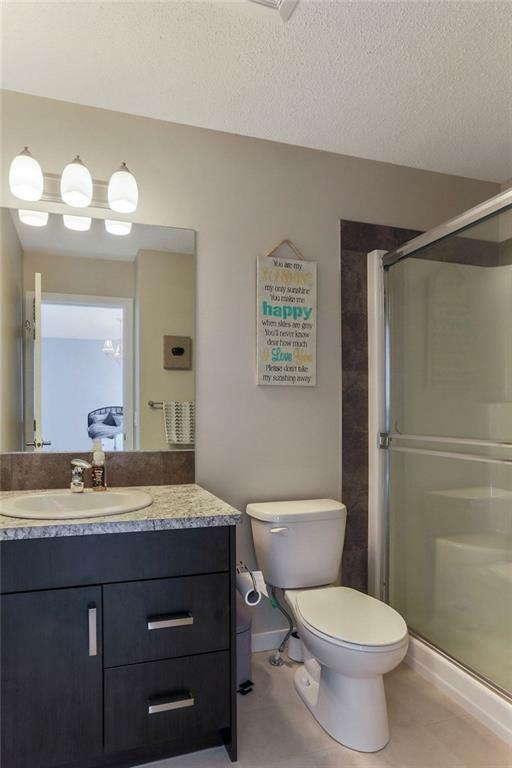 The undeveloped basement is a large space with bathroom rough-in. 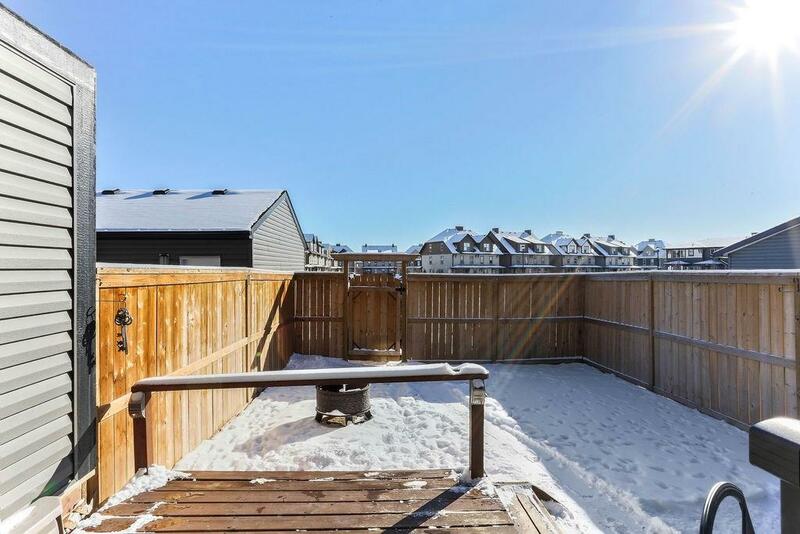 The outdoor space is complete with a 14 x 20 deck, fully fenced and landscaped back yard with 2 parking stalls.